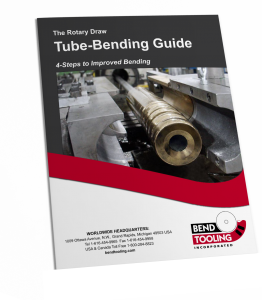 A part of the mandrel assembly which supports the arc of the bend from flattening along the outside radius after the tubing material has passed through the point of bend. The term ball is derived from the fact that geometrically it is the center segment of a true sphere; this is why a ball is occasionally called a “sphere” or “segment”. 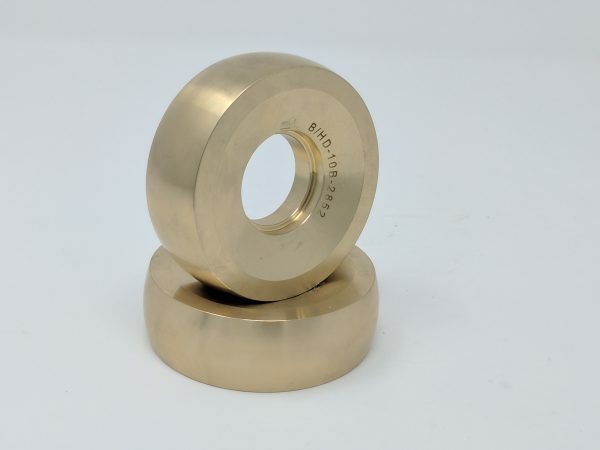 Because of its spherical geometry, as opposed to the cylindrical geometry of the mandrel nose, the ball is not very effective in setting the tubing material into a circular cross-section at the point of bend. For this reason, the mandrel should be fixtured so that the entire ball, or balls, rests past the point of bend — not in the point of bend or behind it.